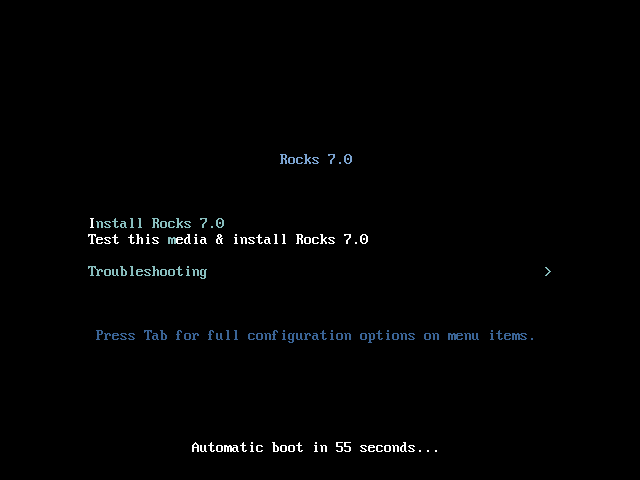 Rocks is an open-source Linux cluster distribution that enables end users to easily build computational clusters, grid endpoints and visualization tiled-display walls. Hundreds of researchers from around the world have used Rocks to deploy their own cluster (see the Rocks Cluster Register). Since May 2000, the Rocks group has been addressing the difficulties of deploying manageable clusters. We have been driven by one goal: make clusters easy. By easy we mean easy to deploy, manage, upgrade and scale. We are driven by this goal to help deliver the computational power of clusters to a wide range of scientific users. It is clear that making stable and manageable parallel computing platforms available to a wide range of scientists will aid immensely in improving the state of the art in parallel tools. See Rocks Licensing. Rocks is supported by the National Science Foundation under Grants OCI-1032778 and OCI-0721623. The latest update of Rocks codename Manzanita is now released. Manzanita is a 64-bit only release and is based upon CentOS 7.4. The Rocks-supplied OS rolls have all updates applied as of December 1, 2017. Please see the Downloads Page to get started. You can visit Rocks source code github. The ZFS roll for Rocks 7.0 has been updated. It addresses an issue at node installation when a new kernel is in rocks distribution (via rocks create distro), but there is no corresponding kmod-spl/kmod-zfs rpm to match the new kernel. New installations from the current Rocks central server will automatically use the updated roll. No further action is needed after you have updated the roll.